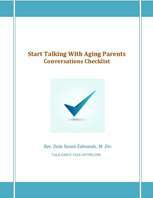 Talk Early Talk Often with Aging Parents. Could you give me any suggestions or feedback that will help make this an even more useful resource? What was the most helpful thing you learned? Would you recommend it to others? Why? 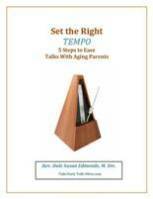 What else would help you on your journey with aging parents/friends that you didn't see here? And, of course, any other comments you want to share with me! Just type in your comments below!